I received this picture sometime ago and was convinced that I had posted it in the archive. I checked and realised I had added a video to youtubeskate.com but not into THOS itself. 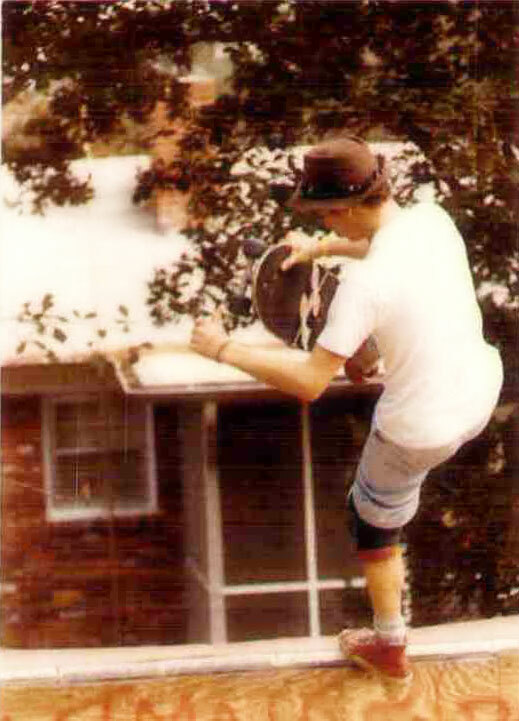 So here is a great shot of BB and that youtubeskate.com video from 1988. This entry was posted in Blaize Blouin and tagged ART, backyard ramps, Blaize Blouin, boards, east coast, Farm Ramp, house of steam, jason, Jason oliva, jasonoliva, New Jersey, New York City, obey, oliva, paintings, photography, pool Skating, ramp, rast ramp, ride, sheppard fairey, sk8, sk8t, skate, skate decks, skate history, skate photography, Skate ramps, skate trucks, skate wheels, skateboarding, skateboarding history, skateboarding photography, skateboards, skatepark, skater, SKATERS, steam, Street Skating, TEAM STEAM, The Barn, The House of Steam, thos, vert, vert ramps, Vert Skating, Wreckroom Skateboards on December 21, 2009 by jasonoliva. This entry was posted in Blaize Blouin, Uncategorized and tagged ART, backyard ramps, Blaize Blouin, boards, east coast, Farm Ramp, G & S, house of steam, jason, Jason oliva, jasonoliva, New Jersey, New York City, oliva, paintings, photography, pool Skating, ramp, ride, sk8, sk8t, skate, skate decks, skate history, skate photography, Skate ramps, skate trucks, skate wheels, skateboarding, skateboarding history, skateboarding photography, skateboards, skatepark, skater, SKATERS, steam, Street Skating, TEAM STEAM, The Barn, The House of Steam, thos, vert, vert ramps, Vert Skating on January 1, 2009 by jasonoliva.